Welcome home! This stunning 4/2.5/2 WATERFRONT home has been kept in immaculate condition by its one owner. 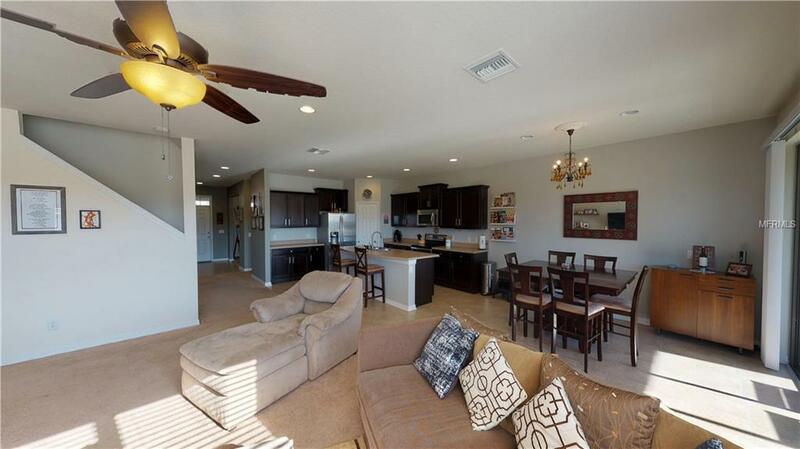 The spacious and incredibly functional layout, with over 2950sqft, has plenty of space for everyone! The home has high ceilings, solid surface counters, recessed lighting, stainless steel appliances, tons of storage space, and more! A well-manicured entrance greets you as you come home. 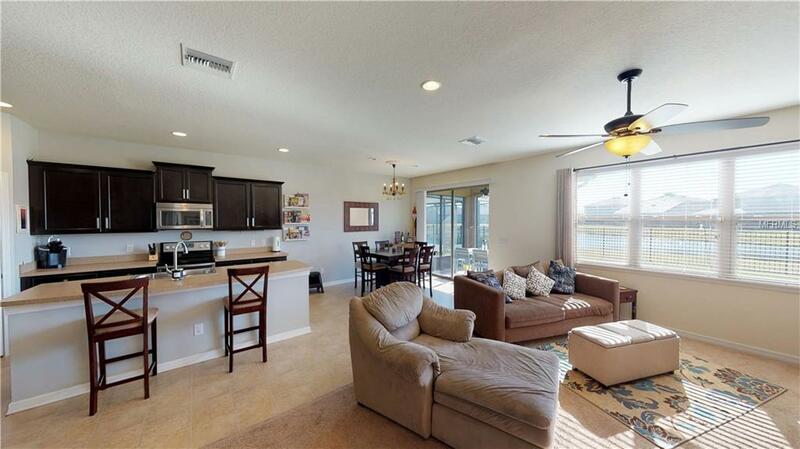 Enter to relax in large living areas, with plenty of space for entertaining. A bonus room can be used for an office, a spare bedroom, or a playroom. The kitchen is open with a functional island, dark cabinets, and plenty of counter space and storage. The downstairs master bedroom is large and inviting with a huge walk in closet. The bathroom features dual sinks, a garden tub, and a glass-enclosed shower. Upstairs is a loft area for more living space, as well as three more large bedrooms with great closets. Everyone will have a place for their things! 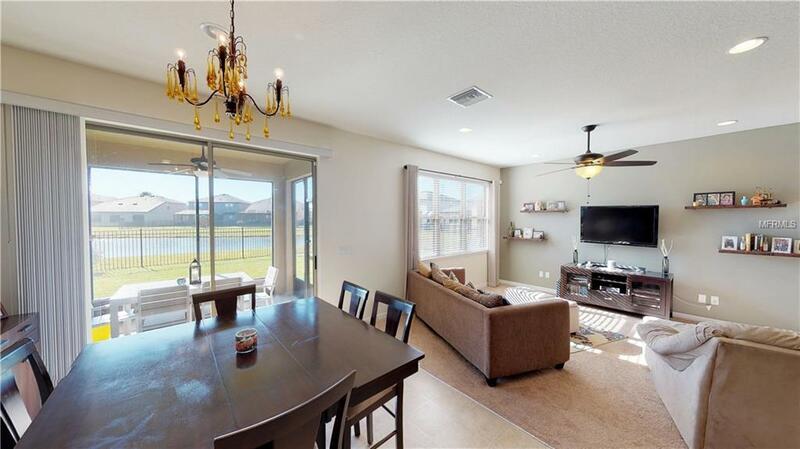 Outside, a screened in lanai is perfect for relaxing or entertaining as you enjoy the water views. The yard is generously sized and fenced. Magnolia Park is an established neighborhood with fantastic park and pool areas. 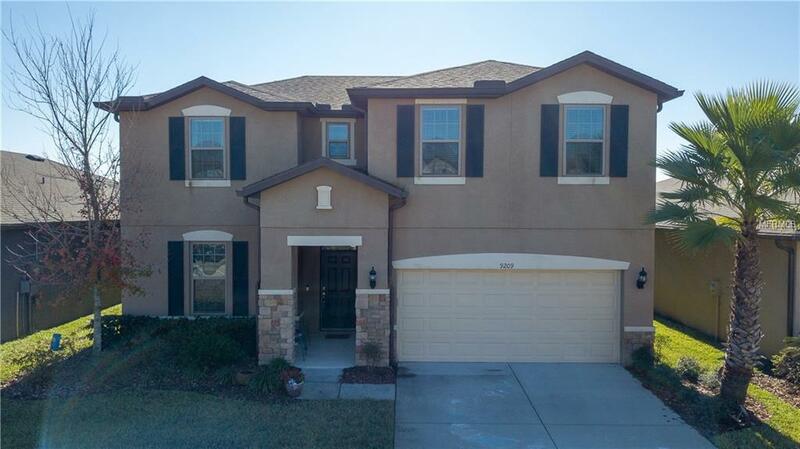 This home is easily accessible from the base, downtown, the beaches, and all that Tampa Bay has to offer. Please be sure to check the virtual tour for a walk-through and set up your showing today! Listing provided courtesy of Boutique Realty Florida.